This entry was posted in Mental Health on October 1, 2015 by Platinum. Many people do not associate depression with college students, but the reality is that depression is a form of mental illness that countless people struggle with on a daily basis. Even in the midst of exciting changes, hopes, and the aspirations that come with the college time period, this does not make college students immune from developing a depressive disorder. From a survey completed in 2011, the American College Health Association found from a nationwide survey of college students at 2- and 4- year universities that about 30 percent of college students reported feeling “so depressed that it was difficult to function” at some time in the past year . 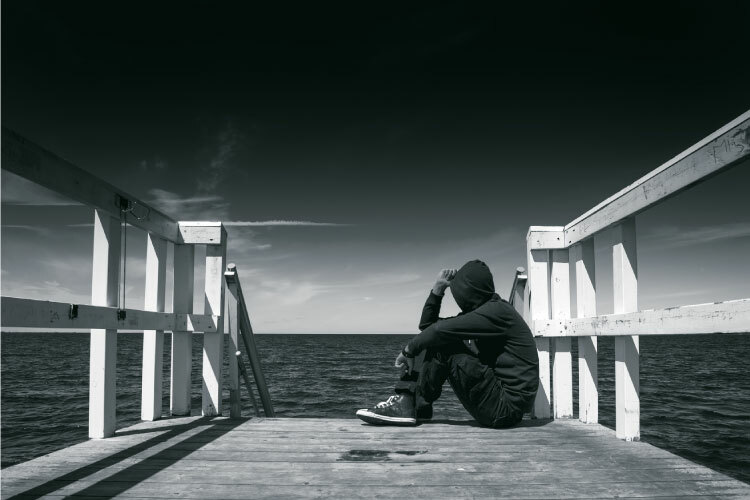 While students may commonly experience symptoms of depression, they may be unaware of the severity of what they are dealing with or unsure of where to go for the help they need. Others might assume that what they are experiencing is part of the normal stress that college students might face, while still many individuals fear the stigma that is commonly associated with mental health disease. Whatever the issue may be that prevents a student from seeking out appropriate help and care for depression, an individual suffering under the weight of depression will inevitably look for ways to cope – either through healthy or destructive venues. Some students with depression may look to external sources as an artificial sense of coping and numbing from the effects they may be feeling from depression. Because drugs and substances might be more readily available on college campuses, the misuse and addiction to substances can easily become a way in which students attempt to numb out from depression. The use of drugs and alcohol can in fact worsen symptoms of depression, anxiety and pre-existing depressive disorders among college students. If you are a college student who has found yourself struggling with depression, be sure to reach out to someone you trust and find help immediately. Depression is a mental health disorder that can be treated appropriately to help you function normally, especially during your college years. Drugs or alcohol will not treat the underlying causes of depression and can only make things spiral more out of control. Begin by searching your college campus and wellness center for mental health resources. Community Discussions – Share your thoughts here! What experiences or circumstances on a college campus might make students more susceptible to experiencing depression? If you are a college student, what resources are available on your campus for students who may be dealing with depression or another mental health disorder?